Before your interview find out as much as you can about the company, your interview answers should be relevant to the stated objectives and needs. Demonstrate your insight into what the job demands and how you can bring real value to the customer management position. What do you consider the core criteria for a successful customer service department? Key factors include a good understanding of the needs of the customer and having the right skills, resources and processes in place to meet these needs. 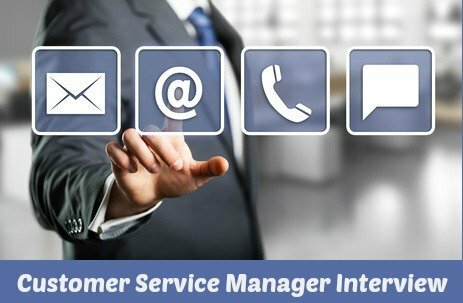 From a customer service management perspective criteria include clear communication of objectives and expectations to staff, consistent performance management, empowering staff to meet customer demands, ensuring staff are sufficiently engaged, listening to feedback from staff and customers and effectively acting on it. Tell me about a customer service policy that you have developed and implemented. Talk the interviewer through a policy you developed, structuring your answer around these recognized steps. How would your customer service team describe you as a manager? 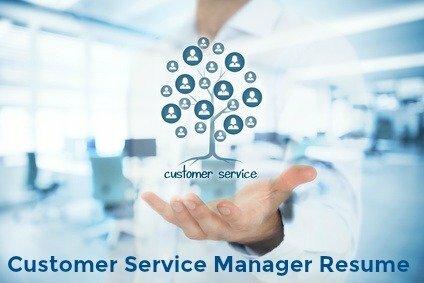 Focus on the strengths and skills required to successfully manage a customer service team including clear communication, organizational and planning skills, people development and empowerment, motivational skills and problem-solving skills. Support your answer with examples of actual feedback you have received from team members. How have you motivated your team to achieve demanding performance standards? Provide examples of the types of motivation you have used and their effectiveness. Examples include cash incentives, training programs, career development, time off, recognition. Focus on identifying and meeting individual motivations with specific rewards tied to the employee's interests and needs. Other factors to discuss in your interview answer include providing the right resources for the team to do their job including skills, knowledge, support and equipment. A team that is not armed with the right resources will find it difficult to do their job and stay motivated. Time spent individually with each team member listening to them and developing them is another strong motivational tool. Taking the time to encourage them in their work and providing constructive, factual and sincere feedback are motivating factors. What is your preferred management style? Focus on utilizing different management styles to increase effectiveness in different situations and with different employees. Why do certain management styles work in particular scenarios? "I find that it is most effective to have a variety of management styles and to use them appropriately. I have to adapt according to the team member and the situation. However one aspect of my management style that remains consistent is that I employ a hands-on approach. I get a better appreciation for what my team does by spending time on the front lines, it builds a strong relationship with them and keeps me informed. I have found a participative approach to management helps build commitment and consensus among employees "
Give me an example of how you have managed an under-performing staff member. What process did you follow to understand the reasons for the poor performance, gain commitment to the need for change and resolve the issues? Approaches include developing a program of required actions for the team member to follow, providing training, coaching and mentoring, allocating necessary resources. Find out how to answer behavioral interview questions like this. What have you done to improve work processes in the customer service division? In your answer describe receiving feedback from customers to identify areas for improvement, looking at every touch-point in the customer life-cycle and implementing actions to improve the process. "I identified that customer satisfaction with our email support was not what it should be. The rule of thumb has been providing a response within 24 hours. However with the pace of everything increasing online I understood that we needed to achieve more impressive response times. I instituted a response time of 4 to 8 hours as the standard. This has set us apart from our competitors and improved customer satisfaction"
Tell me about the cost efficiencies you introduced in your last job. What solutions have you employed in response to customer service problems you identified? "I identified that we were not getting the feedback we needed from customers. To ensure we knew about all the experiences our customers have we had to create an easily accessible way for them to give us feedback. One way we resolved this was with a phone survey at the end of a service call. By creating a means for customers to provide immediate feedback it was easier to learn what needed improvement." What metrics do you consider the most important factor in measuring customer satisfaction? How have you used data to improve the level of customer service? How do you employ this data to achieve your customer service goals? "I measured the number of repetitive support emails that were coming in and identified that a number of questions were consistently asked. I researched the benefit of setting up a comprehensive knowledge base online to address these questions. It was cost effective to do this and has proved an efficient way of reducing these repetitive emails sent by customers."